Reports and change-logs for the upcoming Android 4.4.3 release suggest that the latest iteration of Google's mobile OS will focus solely on bug fixes. So don't go expecting a refreshed UI or any major new features. Are you excited about any of these upcoming fixes? 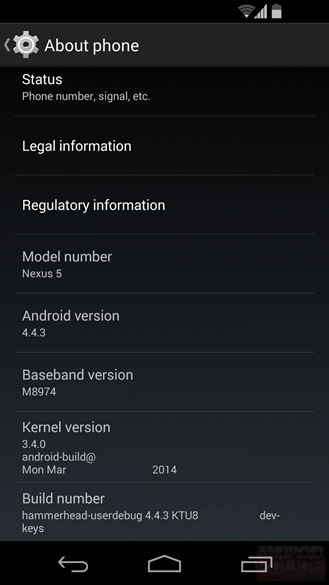 I've got the android 4.4.3 on my nexus 10. i didn't know that the nexus 10 would get the updated, great. I have nexus 7 tablet and miracast dosent work will this new 4.4.3 fix this problem !! !